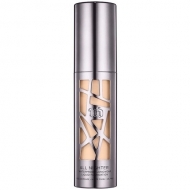 Provides a great contour or blush effect. DESCRIPTION: UD PRO Optical Blurring Brush F-105 from Urban Decay is a brush with the best blend of shape and function. 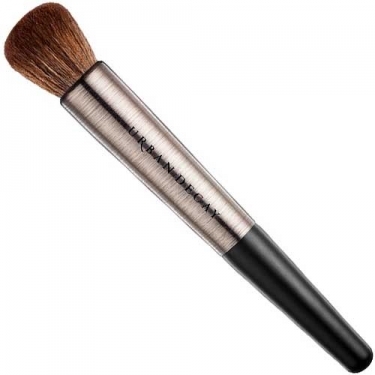 This brush distributes the base evenly, and is also great for contour, blush or anything that needs a faded effect. This professional quality product, without cruelty, is good for the eyes and the environment. The brush cable is made from recycled aluminum, and the super soft synthetic hair is made from recycled plastic bottles. Another advantage: Synthetic hair brushes do not cling to bacteria, so it is easier to clean and more hygienic.